I’m happy to showcase my interview with YA author, Just B. Jordan. Check out her official bio at the bottom of the post. Until you do, suffice it to say that she’s awesome because she was homeschooled, graduated early, and is only 19-years-old and just got her first book published. Read on and get to know Just B. Jordan! Imprisoned, Elwyn endures torture so horrific she drives herself insane to elude true madness. She finally escapes, but at the deadly cost of the only remaining friend she has. Now, unless her broken mind is playing another cruel trick, she discovers she is turning into the monster she despises most of all. Amidst fighters and fairies, demons and dragons, traitors wear the face of friend as she searches for the lost fragments of her mind. Elwyn is the only one mad enough to face the Monster of the Kings, but she is more likely to destroy herself before even finding him. Who’s your favorite character in your book and why? It’s hard to pick just one favorite. I would say Finnion, because he is one of the only characters who tries to remain genuinely nice. But I also really like Cestmir, for various reasons that might ruin a surprise in the plot. No, I purposefully avoided that. But when my brothers read the very first draft of the first 50k words (back when the story and characters were very different from what they are now), one of them thought I had written Gwendor and Finnion as them, and Elwyn as myself. What comes first: story or characters? Story almost always comes first. I see a scene playing out or have an intriguing idea on world-setup or plot, and it grows from there. Do you like to write series? Yes and no. I doubt I would enjoy writing a series where the MC is always the same, or it always takes place in a similar setting. I would get bored. I have enjoyed creating a series where every book has different characters and settings, but they tie together. Describe your main character in 3 words. Use two or fewer sentences about something unique about the book. As the dragon lore unfolds it becomes pretty intriguing; the physical rot of their flesh, the madness of their minds, the way their life-force is dependent on leaching from other races. Anything and everything can make ideas pop into my thoughts. I’ve always had an extremely over-active imagination. No. 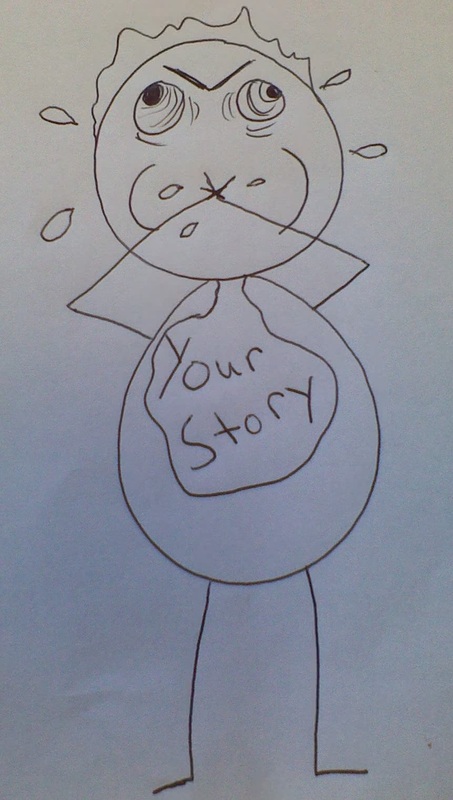 I always told myself stories to keep myself entertained, but I didn’t start writing until I was 16½. Why do you write? Is it something you’ve always done? Or wanted to do? I write because it fleshes out my stories in a way they never would be if they remained in my thoughts only. I always thought it would be fun to write a book “someday”, but didn’t expect that I would actually buckle down and do it. Once I have an idea that I know I want to work with, I tell myself the story, adding to it and shaping it until I have something substantial and workable. Then I sit down and start to write. Typically I have no idea where I’m going when I begin. I’m horrible with taking notes, though I am getting better at it. After I write the first 20-50k words, I go back and rewrite everything before continuing. It sounds counteractive, but that’s what works best for me. As I write I’m constantly going back and adding things in, cutting bits, and changing dialogue to work with the later chapters. What is your work in progress? To Ashes We Run. It takes place in the same world as Never To Live, but centuries in the past. I have loved writing this book. There are a few characters that are so awesome they almost steal the show from the MC, and the setting is vastly different from Never To Live’s. The under-achieving, self-absorbed MC, Adisa, is very refreshing to write after spending so much time in the mind of the tormented Elwyn. How often do you go back and re-write a plot? Before I start writing it is constantly being erased and re-drawn. It changes so much that it isn’t recognizable when compared with the original idea. Once I’ve started writing I still go back and make tweaks and changes as I flesh out the story, but once I know where I want it to go the overall arc doesn’t get changed much. Xenocide by Orson Scott Card. Up until this year I hadn’t read much sci-fi, but it is definitely growing on me. Card is one of my favorite authors now. When not writing, how do you spend your time? I read. I walk the fields, woods, and roads near my house. I goof around with my siblings when they are in town. I also enjoy making things with my hands, like costumes and steampunk jewelry. Thanks to Jordan for giving us some inside info on Never to Live, and a sneak peak into her mind. Make sure you check out her website, and don’t forget to buy her book! Just B. Jordan was born and raised in Oregon and lives in the foothills of a small town near Eugene. Homeschooled along with her three siblings, she graduated high school a year early and received her first publishing contract at the age of 18. She enjoys her life as a country girl with many pets, and works for a small dog centered business. One of her hobbies is to create Steampunk jewelry and costumes. While I wait for Daniel and the Sun Sword to hit the presses NEXT SUMMER, I’ve been working on the second book in the Sons and Daughters series, and I recently hit the 100-page mark! For some reason that’s always been a major milestone for me. So…Huzzah! 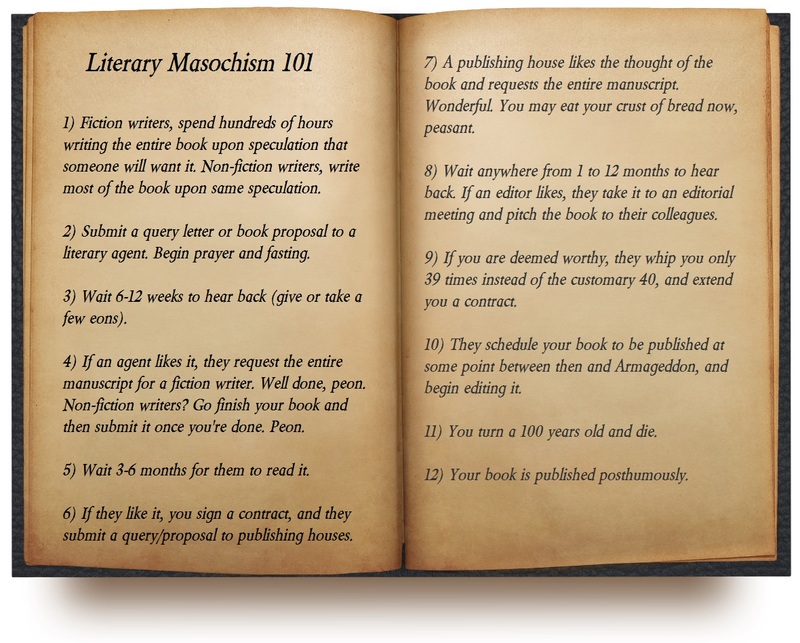 Some people (like yours truly) skipped the literary agent steps and submitted straight to publishers. And I have to say, Ellechor was awesome and quick getting back with me, but that has been the exception, in my experience. If you’re interested in those big NY publishing houses, don’t even think about submitting your book unless you have an agent. They’ve exiled writers to the moon for less. I swear. So there you have it. Throw in a few racks, thumb-screws, and public burnings, and you’ve got the picture. But despite all that…it’s worth it! Oh yeah, and just so the title of this post is accurate: I have some stupid slugs in my garden. There. Whenever I talk to kids and teenagers about writing, there are usually three questions that come up. How long have you been writing? What made you want to be an author? How do you get published? The first two questions are easy to answer; and let’s face it, people only ask them to be polite. (Since I was 14 and because it’s fun. There, I answered them). People are really interested in the last one. For an author, to be published means a lot of things. Recognition. Encouragement. Relief. Relief most of all. Relief that all the creativity swirling around in your head, and all the effort it took to craft it into something real, wasn’t for nothing. So on to what matters: how kids and teenagers can get published. There are loads of contests, websites, and magazines that exist solely to publish those in the K-12 category. Below is a list of my favorites. Just be aware that there are TONS more, which you can find by doing a simple Google search. 1) Stone Soup: This website welcomes submissions by young people up to age 13. 2) Teen Ink: This magazine is written by teens, and it’s a pretty big deal. They’ve been around forever, so check them out no matter what you write. Because they want it. 3) The Claudia Ann Seaman Awards for Young Writers: If you’re in High School, check out this contest for poetry, fiction, and non-fiction. 4) Kids Bookshelf: This site accepts short stories and poems from those 17-years-old and under. 5) Just 4 Kids Magazine: This website accepts submissions from kids and teens to post on their online magazine. 6) Launch Pad Magazine: If you’re ages 6-14, then you can submit your work here. 7) KidsCom: Each week, this site publishes five submissions from kids ages 11 and younger, and 12 and older. 8) KIdsWWwrite: If you’re 16 or younger and like to write stories or poems, check out this website.